Banks are reluctant to work with bitcoin, that fact has been well known in the community for some time. Until now, though, few concrete reasons have been given as to why. New statements from a senior banking practitioner in Australia working in anti-money laundering (AML) and counter-terrorism financing (CTF), compliance could go some way to providing an explanation. Banks around the world, particularly in the US, have been closing down accounts of bitcoin startups and even bitcoin-accepting businesses for over a year now. Even those that do work with bitcoin businesses are reluctant to be named in the media. More conspiratorial theories say bitcoin’s destiny is to replace banks, and banks fear the competition. The real answer, however, could be the more mundane one of regulatory risk. Australia’s banking and investment laws are similar to those in other Western, developed economies, so the reasons presented here are likely to be similar around the world. The Financial Action Task Force on Money Laundering (FATF/GAFI) is an intergovernmental organization started in 1989 by the G7, and now has 34 members plus several regional associates. Tasked with combating the financing of terrorist organizations, it is a key factor in AML/CTF regulation and policy setting among its members, meaning banks in those countries face similar legislative environments. The senior banking practitioner, who asked not to be named, attended a recent Bitcoin Professionals meetup in Sydney, organized by lawyer Reuben Bramanathan and entrepreneur Jason Williams of the Bitcoin Association of Australia. The banker explained the following: It is extremely risky and costly for banks to have bitcoin businesses on their books at the moment. In addition to existing know-your-customer (KYC) requirements, the banker said, banks in Australia have a “know your customer’s customer” requirement. New Customer Due Diligence rules, which started 1st June this year, impose a high standard on banks to identify their customers (including the difficult process of identifying beneficial ownership and control) and to maintain ongoing customer due diligence (CDD) and monitoring. There are additional CDD requirements for accounts concerning “politically exposed persons“, or individuals with prominent public functions and their associates who may be susceptible to corruption. The problems for bitcoin begin with its legal status as ‘money’ or otherwise. At present, the Anti-Money Laundering and Counter-Terrorism Financing Act in Australia does not include bitcoin businesses under its ‘designated services’ category. As a non-national currency, bitcoin would likely be defined as ‘e-money’ – and this is limited to “an internet-based electronic means of exchange that is backed by bullion or precious metal and is issued by a government body”. The current law was written in 2006, before bitcoin had been released. This limited definition of e-money means there can be no regulatory oversight from the Australian Transaction Reports and Analysis Centre (AUSTRAC), Australia’s primary regulator for AML/CTF issues. This, in turn, means banks must play the role of regulators themselves, creating an enormous amount of extra work as they monitor and supervise their own due diligence. The anonymous banker explained that extra work creates extra costs and, from a commercial point of view, the profit banks make from businesses does not cover the compliance costs. Add to that the significant penalties they face if anything goes wrong, the lack of oversight increases risk levels to a point where banks consider it extremely dangerous to have a bitcoin business on their books, unless that business can show it is itself voluntarily compliant with all the AML/CTF rules. If large banks struggle to deploy these kinds of resources, bitcoin startups will too. Lawyer and digital currency specialist Amor Sexton told CoinDesk that, given all this, banks take the simpler option of just avoiding bitcoin altogether. “Some, but very few, of the banks, are taking a rational and fair approach by assessing each businesses on a case-by-case basis. Others have decided that it is easier to exit all bitcoin businesses. Banks in smaller countries, like Australia, must also comply with regulations in larger ones if it maintains relationships or has subsidiaries in other countries. 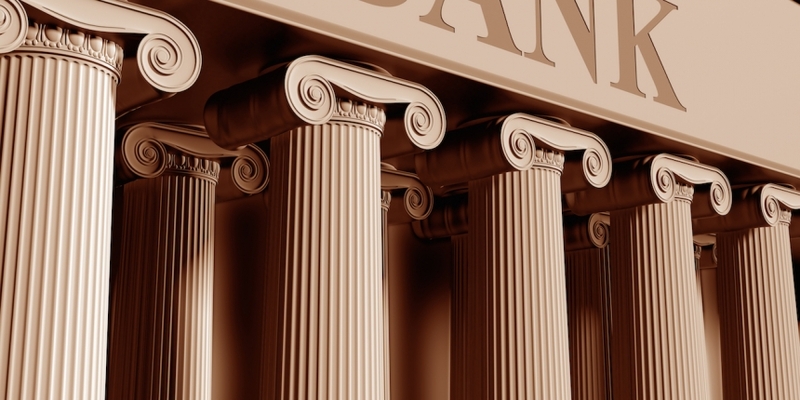 Non-US banks must comply with US regulations if they have customers who are US citizens or formal relationships with US businesses, all of which adds another layer of compliance – and its associated costs and risks. Although these reasons may not come as a surprise to many bitcoiners, especially those from the traditional finance industry, hearing them directly from a banking representative could help startups understand the prevailing attitude. Bitcoin businesses, still a new phenomenon in the economy, have some way to go to prove their industry is every bit as trustworthy as others, and that will take time as well as campaigning. In the meantime, industry groups like the Bitcoin Association of Australia and the newly-formed business lobby Australian Digital Currency Commerce Association (ADCCA) will be pressing the case locally, sharing their experience with associates worldwide.